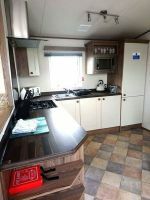 Abi Elan 6 2015 3 bedrooms. 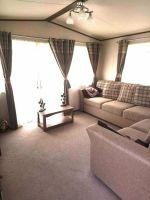 Beautiful luxury caravan with double door leading to a decked veranda. 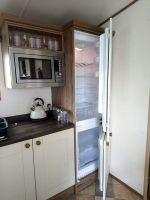 Caravan has double glazing and central heating. 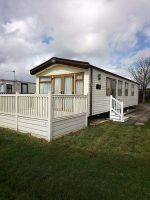 Located on Willow Grove and centered on a grassed field with childrens play area. 1 minute walk to the supermarket and theme park. Splash park swimming baths is only a few minutes walk. 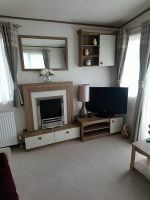 Open plan living room and kitchen, well maintained and looked after. 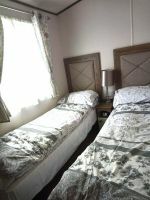 1 double bedroom with ensuite. 1 family bathroom (Towels not included). Living room with pull out sofa bed. 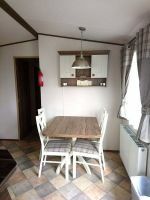 Kitchen with dining table and chairs. 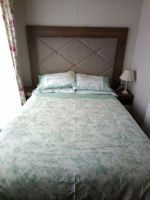 Full fresh bedding, beds made up before arrival. 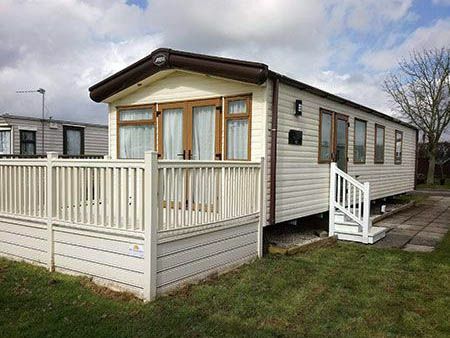 A lot of time and money has been spent to make sure this caravan is in the best condition. Gas included in the rental. 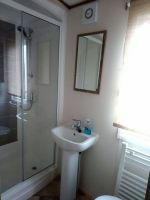 £80.00 fully refundable security deposit required to save the date. Prices vary during specific times of the year for more information please contact us. Flamingoland passes are not included in the rental price and will need to be purchased from the booking office.